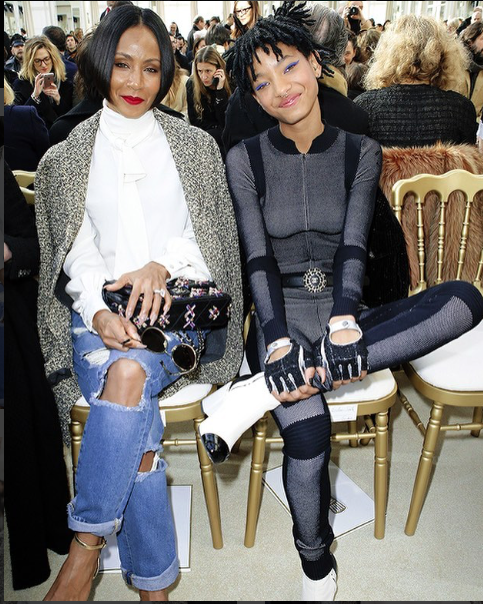 Jada Pinkett Smith has encouraged her daughter Willow not to follow in her footsteps and rush into love and marriage, insisting there's so much "life to live". The Matrix Reloaded star became Mrs. Will Smith when she was just 25, and although the Hollywood superstars will celebrate their 20th wedding anniversary in December (17), Jada admits she would be apprehensive about her girl doing the same at such a young age. Asked what she would say to 16-year-old Willow if her love life unfolded in a similar way, Jada said, "(I'd tell her), 'Don't do that! Don't do that!'" "I'd have to be very careful if she fell in love when I fell in love and had a possibility of getting married," she explained on Sirius XM's The Hoda Show. "I would just talk to her and just say... 'Hey, there's no rush; there's a lot of life to live.'" While the 45-year-old has no regrets about tying the knot with Will, as a youngster, she never thought she was the kind of woman to settle down: "I never wanted to be married," she confessed. "It's all work," Jada explained about the ups and downs of marriage. "The funny thing about relationships is that it has stages... We're getting to a place of a new understanding... As you get older, everything is changing. Everything. So there's a lot of check ins, a lot of redefining." Despite Jada's concerns for her daughter's future love life, Will previously expressed his confidence in the 16-year-old's ability to weed out the good from the bad in her potential suitors. "Willow can handle herself on that one (dating)," he told Entertainment Tonight last year (16). "They knock on the door and the first couple of questions that Willow asks sort of shuts it down. She's so confident in who she is and what she wants to be and where she's going; it's just amazing to see that inner-energy come out in pictures. I'm very proud of her." The actors are also parents to son Jaden, 19, while Will has another son, Trey, 24, from his first marriage to Sheree Zampino.